Interviewer: You’ve worked for Disney for the past 3 years, almost 4 now. Have you ever encountered any traditions within locations that are outside of the realm of general work operations? Interviewee: Well, I think I have one for you. When I was at Be Our Guest, there was a giant mosaic at the entrance of the restaurant. Every morning when opening, we would follow general opening procedures and then have the normal pre-shift meeting that all locations have… not that you would know since you were always closing at Satu’li (laugther)! 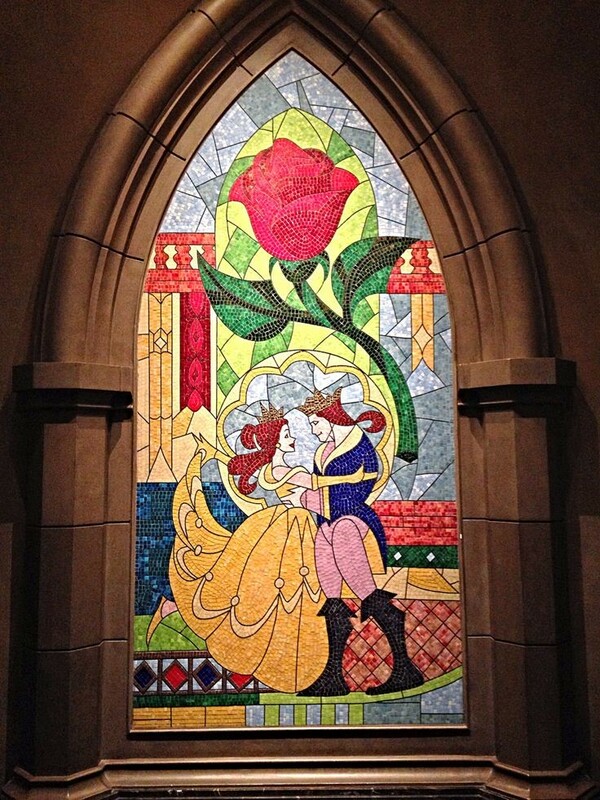 Anyways, the mosaic, in case you don’t know, is one of the scenes of the Happily Ever After between Belle and the Beast. After pre-shift, we all had to walk outside to greet guests and drop the rope. But before doing so or starting any shift, every server would walk up to the mosaic and touch it. To them, it was like a good luck charm. In order to have a good shift, they needed to touch it and by doing so they would get lucky and have their own happily ever after by getting good tables and tips. Otherwise, without touching, they would likely have a bad shift. It sounds stupid, but it’s something I always witnessed them doing! It seems almost natural that workers (or cast members, as they are called) are deriving their own superstitions off popular folklore. The mosaic that she is referring to in the story reflects the ending scene in Disney’s version of The Beauty and the Beast. It is a depiction of the ballroom scene of Belle and the Beast dancing, and the red rose blossoming in the background. This scene in the movie symbolizes the happy ending for the two, as the Belle and the (now) Prince can spend the rest of their lives together after the curse has been lifted. The superstition among the Disney servers just reflects variation on this by, as Kim points out, serving as a lucky charm for their own happily ever after… by the method of good tips! Citations: Trousdale, Gary and Kirk Wise, directors. Beauty and the Beast. Walt Disney, 1991.